Unless your granny puts beef and wine in her Irish beef stew. My Irish Granny would never have put alcohol in any food. OK maybe a drop of sherry in the trifle, but that’s about it. My Mom did not cook with alcohol, either. 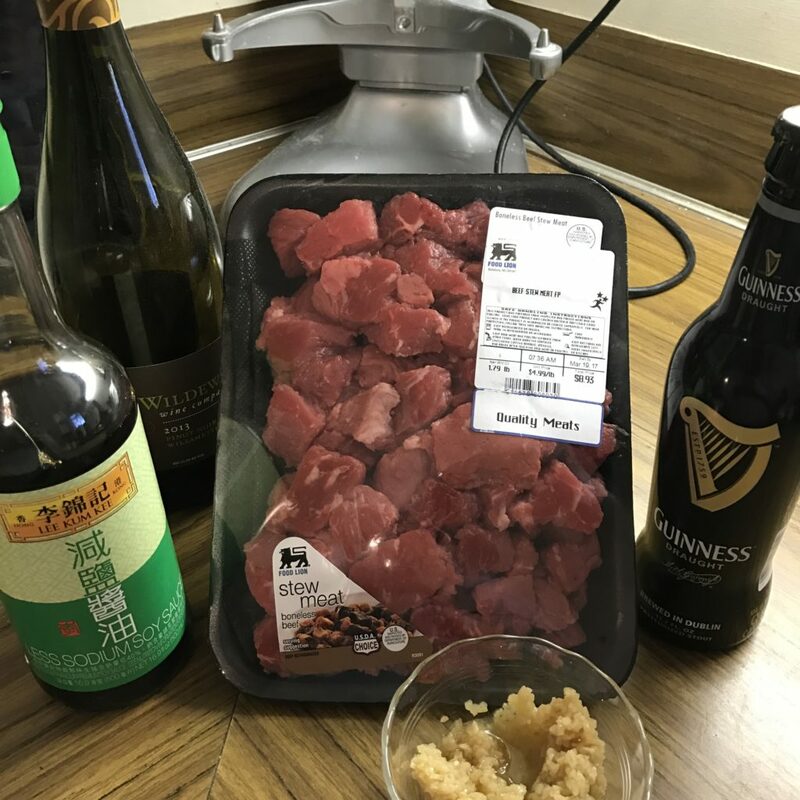 In fact, I honestly only know of Irish folks my age and younger who cook with beer or wine. Not my Mother or Granny’s generations. 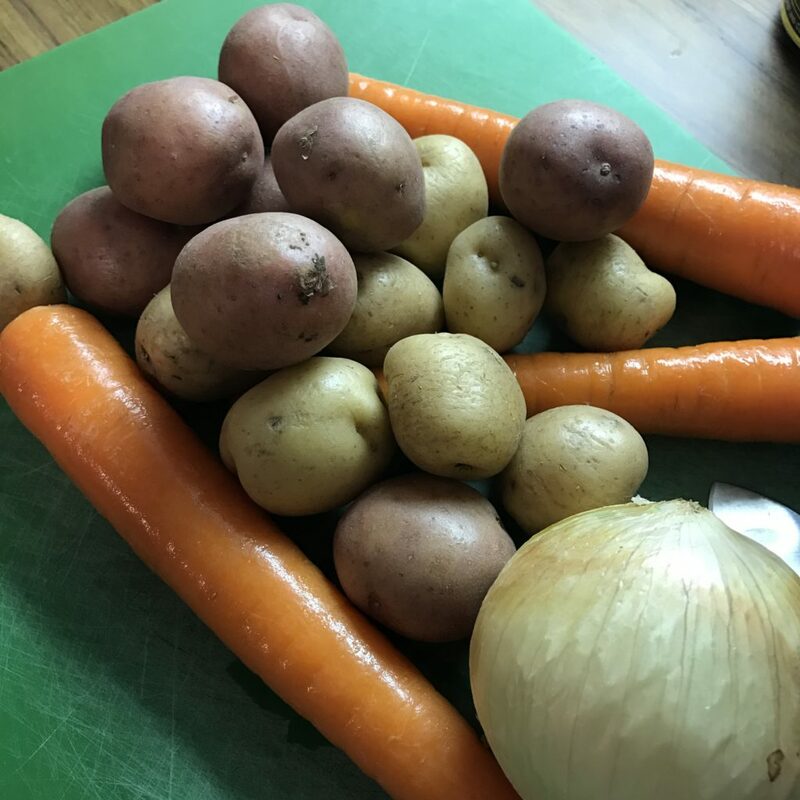 What makes this stew special is two things. One is the use of Guinness stout and lots of it was well as wine. The second is marinating the beef overnight in stout, wine, garlic, and soy sauce. The beef is tender and very flavorful though folks eating it may need coffee and dessert before they leave or they may get a DUI. Put soy sauce and garlic in a large freezer bag. Add beef then pour one of the stouts and wine over it. Seal bag tightly and squish the contents. Put in fridge to marinate overnight. Strain the juices of the bag into your crockpot keeping the meat separate. Sprinkle the meat and garlic with flour and toss to coat. Add the floured meat bits and cook, stirring frequently, until the meat is browned on all sides. As the beef browns, stir together the tomato paste, remaining Guinness, garlic, and bouillon in the slow cooker until combined. Add the meat, carrots, potato, onion, bay leaves along with a good amount of freshly ground pepper and a pinch of red pepper. 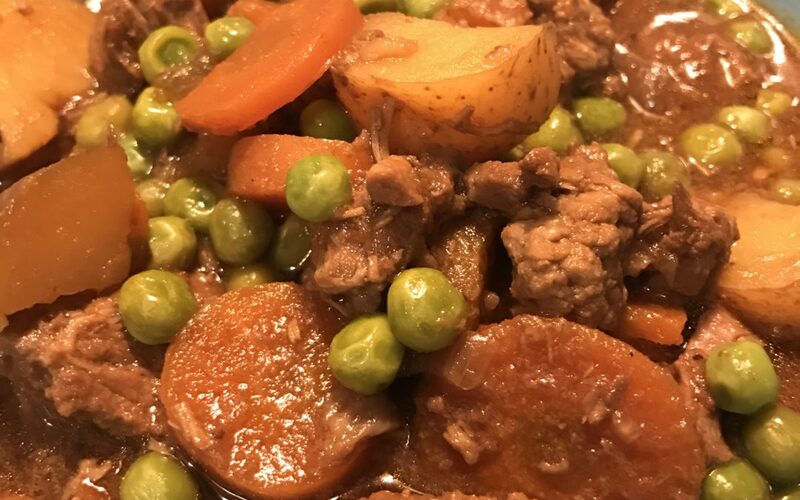 Shortly before serving, stir in the peas and heat just until the peas are hot.